On June 12, Consul Zhang Min visited the Children's Museum of Indianapolis, and met with President & CEO Jeffrey H. Patchen and Exhibit Manager Moncia Humphrey. They exchanged views on strengthening bilateral exchanges and cooperation in the future. Consul Zhang said that the Children's Museum of Indianapolis is the largest children's museum in the world. The exhibitions of the museum involves physics, natural sciences, history, culture and art. The museum meets the learning needs and interests of children and families to nurture hands-on and minds-on experiences. In recent years, the museum has attached much importance in carrying out cultural exchange with China. In 2014, "Terra Cotta Warriors" and "Take Me There: China" were exhibited in the museum. These Chinese theme exhibitions helped American children to understand the Chinese and Chinese culture, which was of great significance for the mutual understanding and friendship between China and the US. The Consulate General is willing to deepen the friendly cooperation with the museum, adding vitality to cultural exchanges between the two countries. President Patchen said that the Children's Museum of Indianapolis highly valued the cultural cooperation with China. "Terra Cotta Warriors" exhibition in 2014 attracted more than 140,000 visitors. "Take Me There: China" exhibition, which is still on display, has attracted nearly 3 million viewers so far. 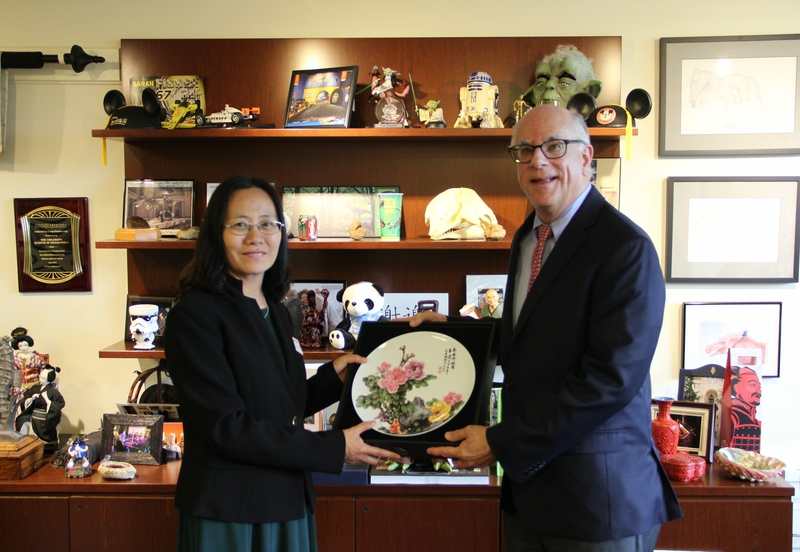 The museum hopes to maintain the friendly relations with China and is willing to make positive contributions to the cultural exchanges between the US and China. 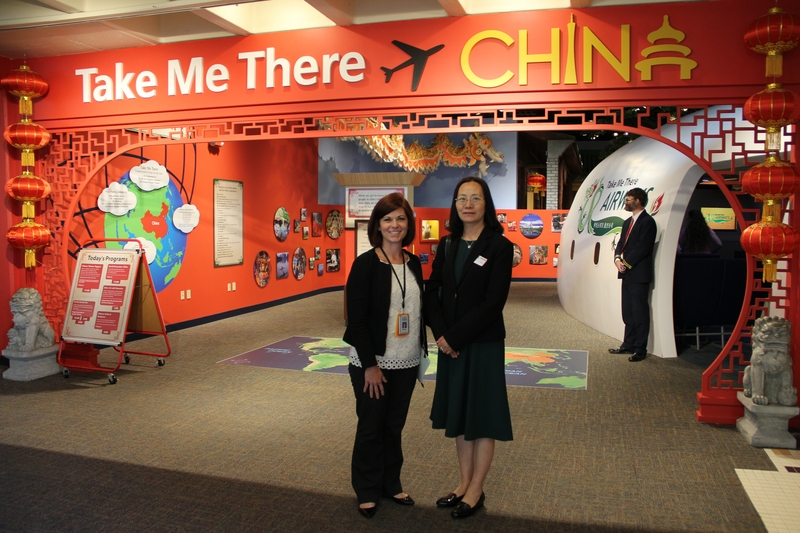 Consul Zhang also took a tour of "Take Me There: China" accompanied by Ms. Moncia Humphrey. Founded in 1925, the Children's Museum of Indianapolis is a nonprofit institution committed to creating extraordinary family learning experiences that have the power to transform the lives of children and families.